Public records can do a lot for a story. But journalists in China face basic challenges like accessing official figures that could provide important context, or poorly designed government websites that make finding published policies close to impossible. 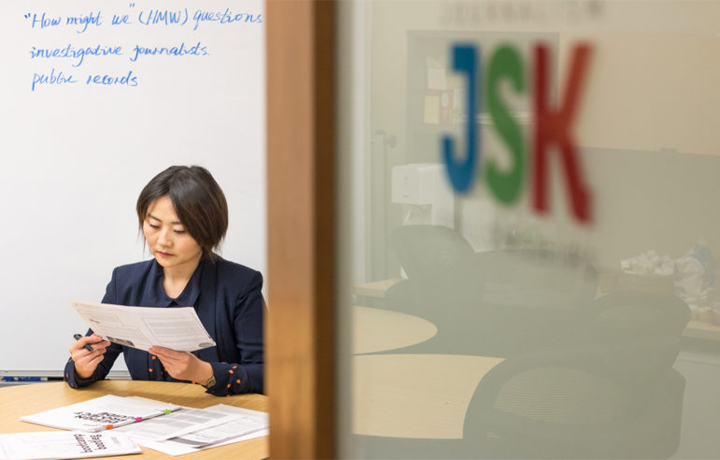 Chinese journalist Feng Xin was no stranger to these same obstacles when she set out to answer a question during her 2018 John S. Knight Journalism Fellowship at Stanford University: What can be done to help reporters in China search and use public records? It may be the case that it’s “not so much about pushing for greater government transparency but about helping my fellow journalists use existing public records more effectively,” Feng said. Her reporting background has prepared Feng for the task. The award-winning television producer and investigative reporter once established a broadcast news program at China Daily called “Digest China,” the first bilingual interview show in the country. Then, at state-owned China Central Television, she initiated “Rural Recovery,” probing the impact of the country’s rapid economic transition on rural communities. Feng recently spoke with GIJN Assistant Editor Lizzy Huang about her experience reporting with public records and her ongoing research at Stanford University. Why did you choose this particular problem as the theme of your research project?